Depart Nairobi morning for the journey through the floor of the Great Rift Valley view game enroute. Arrive Mara National reserve in time for lunch. Afternoon game drive is taken. Dinner and overnight at a lodge. 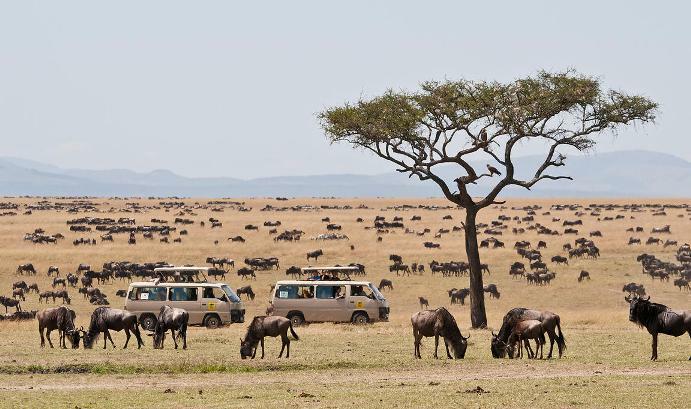 A full day in the vast plains of Mara search for the big five as you explore the famous Mara reserve. Morning and afternoon game drives taken. Meals and overnight at a lodge. Pre-breakfast game drive, after breakfast proceed to the famous lake Nakuru, often referred to as the Pink lake for its great flocks of flamingoes. Besides birds there are a variety of wild game. Meals and overnight at Lake Nakuru Lodge. Pre-breakfast game viewing, take breakfast and depart for Nairobi arriving around noon.